ZeroWater's® 10 Cup Round Water Filtration Pitcher with Ready-Pour™ technology is both aesthetically pleasing and functional. The round space saving design fits perfectly on your counter, bar or in french door refrigerators. The curved comfort grip handle makes for an easy pour. 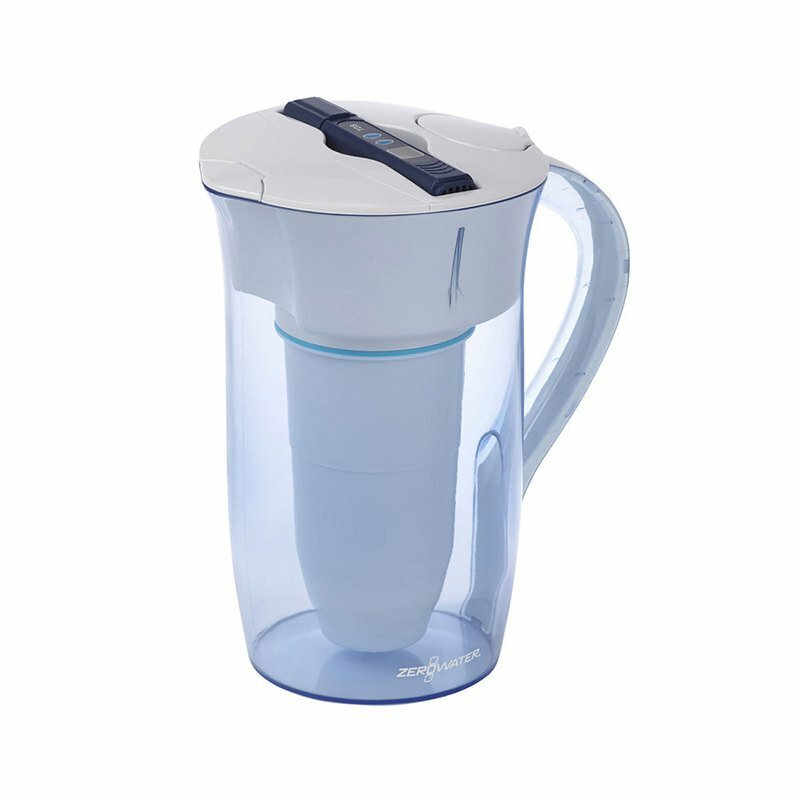 The pitcher features Ready-Pour™ technology to adhere to your on-the-go lifestyle. Ready-Pour™ technology allows you to dispense filtered water as the reservoir is continuing to filter. The 5-stage filter transforms your tap water into delicious, TDS-free drinking water. Total Dissolved Solids (TDS) refer to minerals, salts, metals including lead, chemicals, fluoride and runoff polluting your drinking water. All ZeroWater products include a free 3rd party Water Quality Meter to test your water to ensure the highest quality filtration on the market. Get more out of your water with ZeroWater's 5-Stage Water Filtration.